Honey and Mervin are adorable! 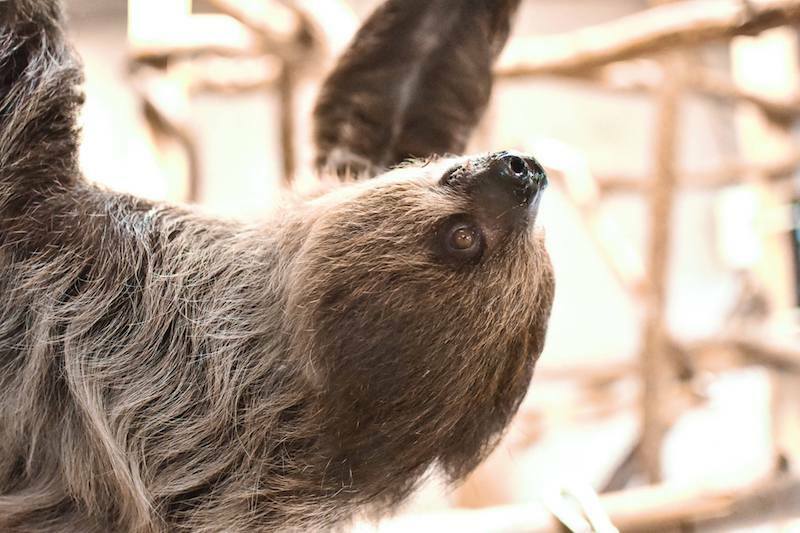 The Virginia Zoo recently welcomed two two-toed sloths (say it fast twice), Honey and Mervin, who are hanging around in the World of Reptiles exhibit, next to the Titi Monkeys. Honey, the female, is 3 and a half years old, and Mervin, the male, is 4 and a half years old. Ashley Grove Mars, the zoo's spokesperson, told The Virginian Pilot, "They came to the zoo in 2018 from a private owner and were housed at the Animal Wellness Campus for a period of quarantine and temporary housing while their exhibit was built and prepped." But now Honey and Mervin are already on display for the public! According to a report by 13 News Now, the World of Reptiles exhibit is a 13,000 square-foot facility -- plenty of room for lots of species. The home to 60 total reptiles, including snakes, tree frogs, and geckos, the World of Reptiles exhibit is used as a place for kids to see reptiles up close and have plenty of educational opportunities. Along with Honey and Mervin, another female sloth lives in the exhibit: KC, 22, who came from Busch Gardens USA. Before KC's arrival, Dudley the sloth lived at the Virginia Zoo for 30 years, but sadly, he passed away last January from kidney disease at the age of 38. It seems that Honey and Mervin will be around for a long time! The Virginia Zoo is urging residents to come and see the two new additions! Are you excited to meet Marvin and Honey? Have you met a sloth before? Have you ever held one? Tell us in the comments! The Virginia Zoo recently mourned the passing of a longtime resident -- Cita the elephant. Read about it here!